Said to be the first cleaning robot of its kind, the Windot X is able to work wirelessly and move freely along windows as it cleans. “The WINBOT X represents the next evolution in window cleaning technology. By removing the power cord, the robot is able to move freely across the surface it is cleaning, regardless of whether or not the window has a frame,” said David Qian, President of the International Business Unit at ECOVACS ROBOTICS. The WINBOT boasts a four step cleaning process, allowing the WINBOT to adapt to your window, and move intelligently and safely. The robot will determine the optimal path to take it across the glass, navigating the space effectively and avoiding issues. Even if a problem does arise, Ecovacs say that the Winbot X's "Safe Tether System" ensures that WINBOT X will stay safe if it detaches. If there is a problem, the system will sound a warning and the tether will retract. 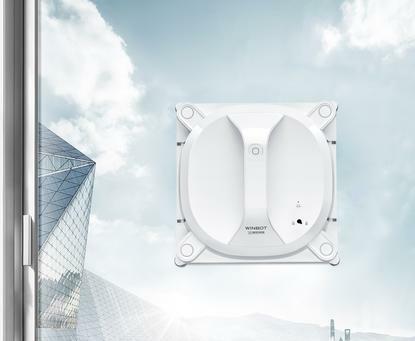 This system protects the WINBOT X during outdoor as well as indoor cleaning. Slated for a mid-2018 release in Australia, local pricing and retail partners for the Winbot X are still to be finalised.